I was doing research the other night and realized BKS Iyengar’s birthday is today. I feel it appropriate to mention one of the teachers who’s most influenced my practice. If anyone lit up a sense of hope in me, hope of not only improving my health but of becoming a whole human being, Iyengar helped sparked my internal fire. Today he is 93 years old. Soon after my first awakening to how great yoga was I went to the library in search of books. In and amongst the books was a copy of Light on Yoga, the book considered to be the bible of modern yoga. I was amazed at the photos as most are but what really blew my mind was the back of the book. If you have shoulder problems do these asanas, if you have digestive problems do these asanas…etc. Could it be? Look at the photos! He’s got to know something about the body look at what he’s capable of. Ask your overweight doctor what shoulderstand does. I knew I’d stumbled onto something huge. 8 years or so later, I’m still at it, breathing, stretching and working on my body one small piece at a time. As I reconnect and experience the great things a yoga practice brings I occasionally find a video like this series. I watched in awe last night, Iyengar makes me look like a novice. This is part one of a series. If you have the time watch it all. It’s quite the demonstration. So Iyengar is now 93 years old. The bushy eyebrowed lion of Pune has influenced most of the lineage of hatha yoga due to his intense focus on the alignment in poses. 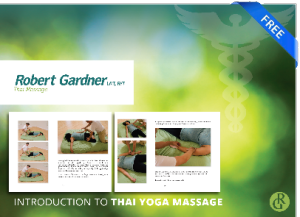 His alignment allows one to do yoga safely and over time deepen into the poses. Using props to help students open their bodies and aid in the process was one of his great influences on the practice as well. Thank you so much Mr. Iyengar. May your life and teachings continue on. Thank you for providing a crack that lets all the light shine in.